Many people seem to believe that bounce houses are only for special occasions. We rent them for birthday parties, and schools bring them in for special events. You see them at fairs, carnivals, and amusement parks. Children are always excited to see a bounce house, because they don’t get the opportunity to play on one every day. Now, with all the cool new bounce houses on the market, they may be able to play on one every day in their back yard. The truth is, there are plenty of affordably priced bounce houses on the market, and buying one is a wise investment. You’ll never have to rent them again, and your children will have constant access to a bounce house of their very own. You may even become the person other parents turn to when they want to borrow a bounce house. Should You Get A Bounce House or a Trampoline? 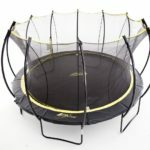 In many cases, you’ll find that a good bounce house and a good trampoline will run you about the same amount of money. Both are fun, and promote healthy, active children. There are some fundamental differences between the two that you may want to consider, and many of them depend on how you think your children will best engage in playtime. There isn’t much going on. It’s a jump pad, a protective pad, and an enclosure net. 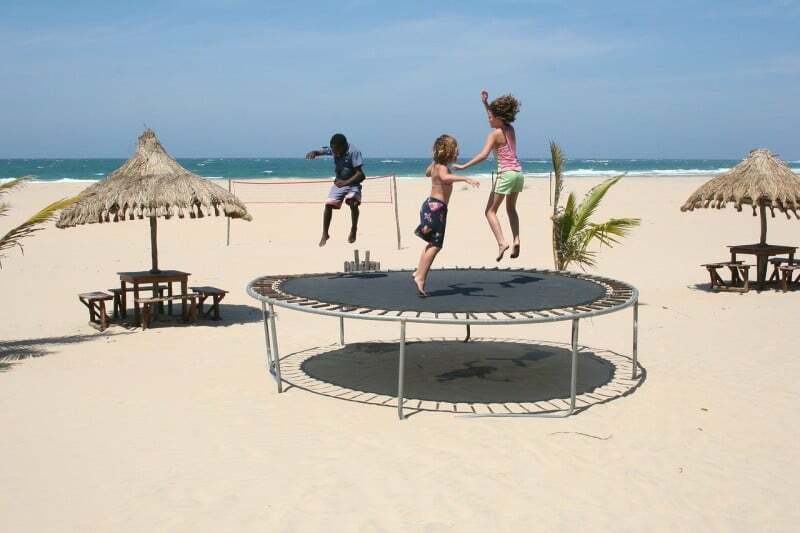 With trampolines, children will be able to jump very high and perform stunts. 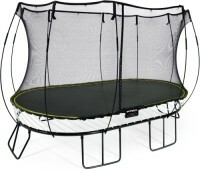 You can purchase some trampoline games to make playtime a little better. When the kids aren’t home, you’re free to jump and enjoy yourself. 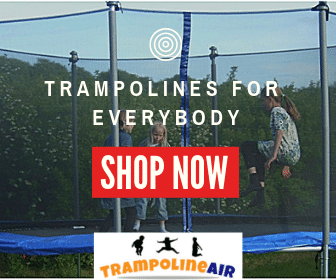 Athletic kids or children enrolled in gymnastics are more inclined to enjoy a trampoline, but younger children or children with short attention spans may not be able to appreciate one. Bounce houses are a little different. 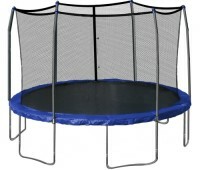 Generally, these also work well for jumping and stunts, but not to the same degree as a trampoline would. Bounce Houses are often themed and decorated, often to a specific style. Some are gender specific, such as truck and princess castle themes. There are gender neutral options for families that have multiple children. A lot of the time, bounce houses will come with activities built in. Many have ball pits slides, and climbing toys attached. Because these are more creative and have a lot of interesting things going on, they help engage a child’s imagination. 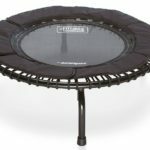 This might mean that your child will feel more inclined to go outside and play if they see something more exciting that a trampoline. Bounce houses are designed to be used safely. Because their construction is fabric inflated with air, any fall your child may experience within the bounce house will naturally be padded by the way the bounce house is made. Any safety concerns can be addressed by following the instructions and using good common sense. When doing any activity, young children should always be closely supervised by an adult. 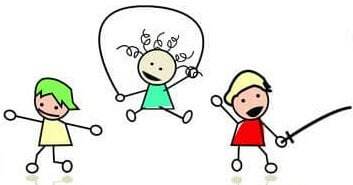 Enforce strict rules to encourage safety, such as forbidding horseplay on the bounce house, making children remove their shoes before entering, and not allowing sharp or hard objects onto the bounce house with your children. Always place your bounce house in a safe area, free from any debris and away from any trees that may shed branches. Your bounce house will come with specific rules. 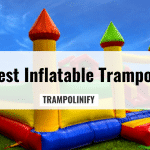 A lot of these include suggested age ranges, weight limits, and the amount of children that can safely be accommodated by the bounce house simultaneously. Always follow these rules. They’re for your child’s protection, and misuse has the potential to end in injury. 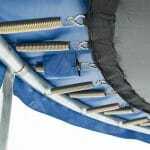 Even if no one is injured in the process, failing to abide by the instructions can also reduce the life and integrity of your bounce house, leading to other problems down the road. Always anchor your bounce house to the ground, and never allow bouncers to use it in bad weather. Make sure the ground around the bounce house is secure. 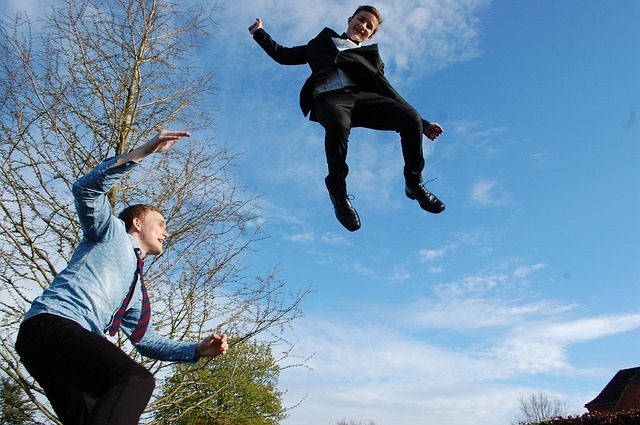 Though a fall from a trampoline will generally be more dangerous, because a trampoline sits at a greater height, it’s still not worth risking anyone’s safety. How Much Should You Spend on a Bounce House? This is a tricky question. The short answer: bounce houses are quite expensive. While smaller, standard inflatables can cost under $100, a real bounce house can cost several hundred. Some models are commercial grade but available for the public to purchase, and those can exceed over one thousand dollars. Trampolines tend to work the same way. Expect to spend between $250 and $500 for a good quality bounce house, and more for a higher end, larger, or more complex model. When it comes to the sliding cost scale, you’ll find that it’s similar to the pricing of trampolines. This bounce house is 18 feet wide, 11 feet deep, and 7 feet high, weighing in at 80 pounds. It safely accommodates five children, comes with a blower, and inflates in less than two minutes. When deflated, this bounce house is about the size of a rolled sleeping bag. Little boys will love this big red bounce house, styled to look like a giant truck. One of the tires serves as a crawl tunnel, with a space to use as a ball pit. The back has a giant double slide, so no one will have to argue over who goes down the slide first because they both can fit. The main jump area has some safety netting to keep overzealous children from flying out of the zone. The manufacturer has designed this model for children between 36 months old and 12 years. This means younger children can enjoy it just as much as big kids, and it will last as your children grow up. Though it’s quite an investment, you’ll be able to use it for a long time. The dimensions of this bounce house are 144 inches by 108 inches by 86.4 inches, and it weighs about 36 pounds. 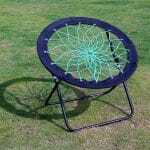 It comes with a blower, and features an encompassing safety net for some added protection. The weight capacity is 100 pounds per user, with a total of a 300 pound weight limit. Up to three bouncers can safely use this at the same time. This bounce house is fairly simple. Its gender neutral design makes it a good choice for families with multiple children of different genders, and it’s approved to be used by any child over the age of three, as long as they’re within the single user weight limit. The main feature of this bounce house is its flat jump surface, as this model is very straightforward. The only additional feature is the slide, which can be used to enter and exit the bounce house. This is a safe, simple, straightforward bounce house that comes with a reasonable price tag. Reviewers on market can’t sing its praises enough. If you want something that’s good for every child and will get the job done without all the crazy bells and whistles, this bounce house will be perfect for your family. This bounce house is 90 inches by 90 inches by 74.4 inches, and weighs 35 pounds. It’s designed for children between the ages of 3 and 8 years. 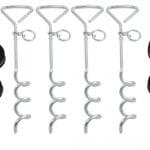 It comes with a blower, a carry bag, anchoring stakes, and a helpful and handy repair kit. Little girls will go crazy over this bounce house. Its bright pink princess design will encourage little girls to play pretend. The only downside to this bounce house is its weight limit – it cannot safely support more than two hundred pounds, and suggests it shouldn’t be used by more than two bouncers at once. If you have two girls, or one girl who likes to have a friend over, this one will work out for you. This one is also on the lower end of the price spectrum is you’re working with a very limited budget. This one measures in at 112 inches by 93 inches by 72 inches, and weighs 45 pounds. 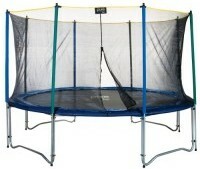 Its seven foot jump pad is a lot of fun, and it’s great for children between 36 months and 8 years old. It comes with a blower, a storage bag, a repair kit, and safety stakes. The bounce house is netted for your children’s protection, and up to 3 kids can bounce at once for a maximum combined weight limit of 250 pounds. This bounce house is ideal for younger children, as you may have assumed by the Little Tikes brand name. Toddlers will be able to work off all of their excess energy while you sit outside and supervise, enjoying the weather. The built in basketball hoop creates a fun, simple activity for little ones to enjoy, and the built in slide adds an extra level of entertainment. It’s simple enough, and priced well for a family who is looking to surprise a young one (or three) with something they will enjoy. This giant bounce house is 20 feet by 10 feet by 9 feet, and weighs 125 pounds. It comes with stakes, a blower, a carry bag, and six balls to play with on the sports complex. This bounce house will hold up to 400 pounds, or in other words, four children at 100 pounds each. This bounce house is gigantic, and will work for children between the ages of 36 months and 10 years. This one is a splurge, but it’s definitely worth it. Throughout the massive bounce house, sports games are incorporated. There are soccer goals on either end, making this an excellent way for children to play together. It also has built in basketball hoops to double the fun. Families with multiple children are going to love this one. It’s more than just a plain bounce house, and it’s an entire entertainment complex. It replaces the need for extra sports equipment, because you’re getting all of it in one package. This modest bounce house is 89 inches by 89 inches by 74 inches, and weighs 36 pounds. It’s suited for children between the ages of 24 months and 8 years. With a weight limit of 200 pounds, this one will safely hold two children weighing up to 100 pounds each. This is a great budget-friendly solution for families with two children, and it’s also gender neutral. This means it won’t seem like a boy’s bounce house or a girl’s bounce house, as both children will be able to play together. Unlike similar bounce houses, this one doesn’t come with any activities or slides – you’re just getting a standard bounce house here. If you’re feeling thrifty, this one is probably your best best. 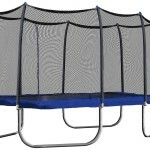 At 11 feet by 10 feet by 7.3 feet, this one will give your children plenty of room to bounce around. It comes with a blower, plastic balls, a carrying bag, a repair kit, and safety stakes. It can hold up to three hundred pounds, with the single user weight suggestion being a maximum of 100 pounds. This one is the best of every world. It’s an affordable, mid-priced bounce house that comes with everything you need, including the balls for the ball pit. There’s a slide, and a sizeable jump pad. It’s gender neutral, so you won’t have to worry about children of different genders being able to similarly enjoy it. 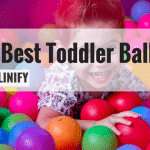 Over all, this is the top pick for families with multiple children, as the features, price, and accessibility combine to create the best bounce house imaginable. There’s some common sense here. Girls may not want a truck, and boys may not want a princess castle. Consider how many children there are in your family, what their interests are, and what your budget is. 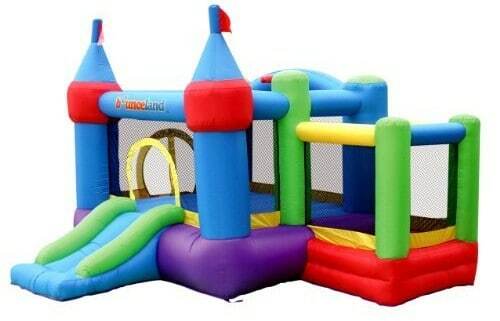 Our top pick is the Bounceland Bounce House, but another one may work better for your family. If you aren’t sure what your children want, just ask them. They’ll be happy to tell you.